Femtonics focuses on the research and development of two-photon laser scanning microscopes for the booming area of (neuro) physiological investigations. 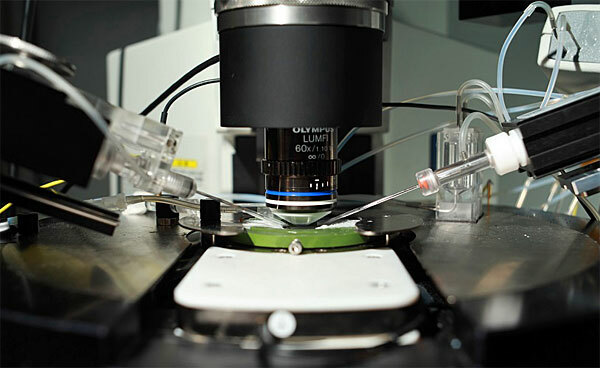 Microscopes are tuned for the fastest 2D and 3D optical measurements and are especially suited for cutting-edge brain research and pharmaceutical development. Furthermore, their modular nature ensures that they can be easily adapted to suit other applications, including biophysical use. 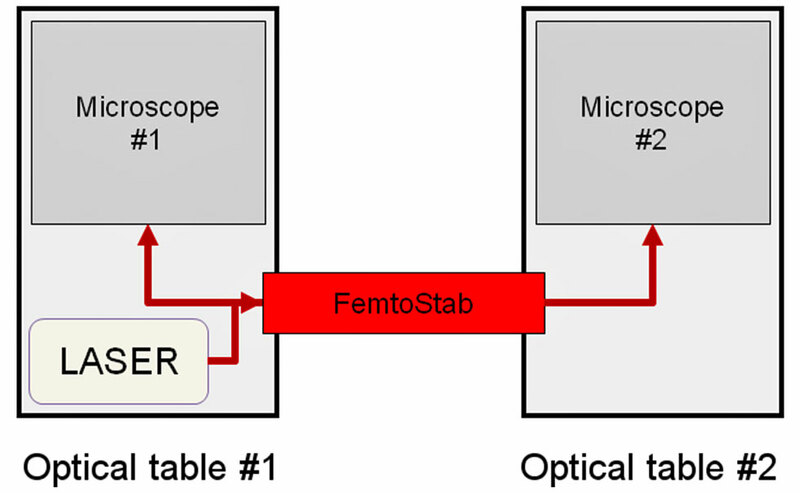 There are twelve standard configurations of Femto2D microscopes as a combination of three aspects. 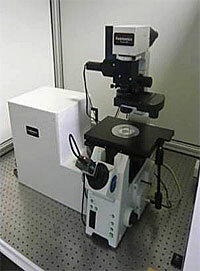 Femto2D is a two-photon imaging microscope. 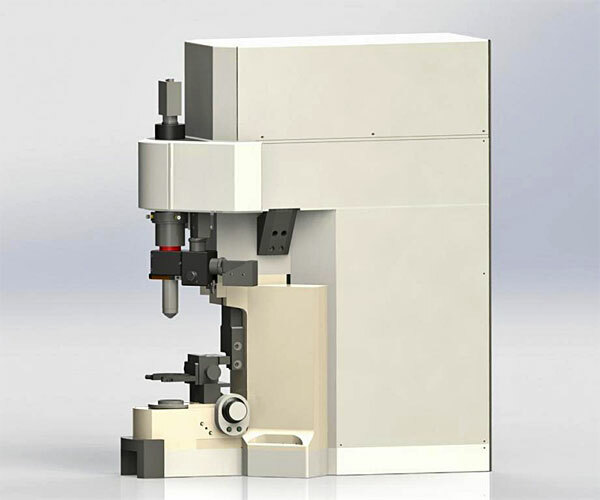 There are twelve standard configurations of Femto2D microscopes as a combination of the three aspects: Product Line; Sample Thickness and Orientation. All configurations are fully functional and ready to be integrated in labs. 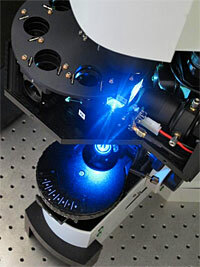 The first 3D, real-time two-photon microscope. A revolutionary contribution to the Neurophotonics world by Femtonics has been achieved by the launch of the Femto3D-AcoustoOptical 2P microscope, which is the first 3D, real-time two-photon microscope on the market. Femto3D-AcoustoOptical is a pioneer in the field of fast 3D imaging as using electrically tunable lenses it can provide up to one billion faster scanning speed in a typical 3D fluorescence measurement as compared to other commercially available microscopes with mechanical z-focusing. 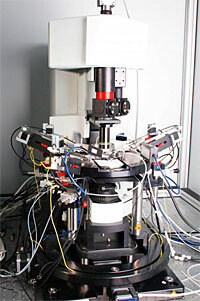 The microscope has been developed and tested in the Two Photon Imaging Centre of IEM HAS in collaboration with Femtonics. Following signal propagation and integration across a neuron and recording the concerted activity of hundreds of neurons pose distinct challenges, and the design of imaging systems has been mostly focused on tackling one of the two operations. 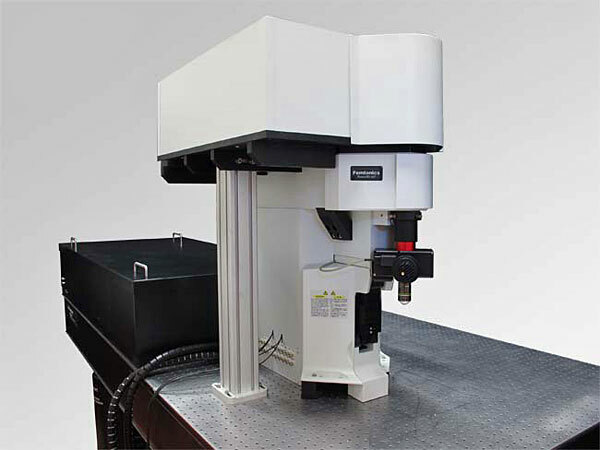 Femto3D-AcoustoOptical is a high-resolution, acousto-optic two-photon microscope with continuous three-dimensional (3D) trajectory and random-access scanning modes that reaches near-cubic-millimetre scan range and can be adapted to imaging different spatial scales. 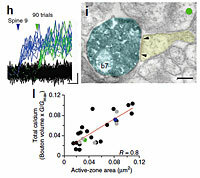 For example both measurements of action potential back-propagation and dendritic spike forward propagation at sub-millisecond temporal resolution in mouse brain slices and volumetric random-access scanning calcium imaging of spontaneous and visual stimulation–evoked activity in hundreds of neurons of the mouse visual cortex in vivo is possible with the system. The Femto2D-Dual microscope gives the ability to perform dual scanning using both resonant and non-resonant scanners in tandem. The Femto2D-Dual microscope gives the ability to perform dual scanning using both resonant and non-resonant scanners in tandem. In this mode, the non-resonant scanner can be used for photoactivation of selected regions of the sample followed by high-speed imaging with the resonant scanner. The resonant scanning system is capable of high speed image acquisition at rates ranging from 30 frames per second (512 x 512 pixels) to 400 frames per second (152 x 32 pixels) whereas the non-resonant scanner features a maximum scan rate of 4 frames per second at 512 x 512 pixels. Resonant scanners have truly better FPS over large field of views. However galvanometer based scanning has FLEXIBILITY! There are only a few applications which require a rigid 256x256 pixels with 2um spatial resolution at full frame. With galvo scanning you can create images larger than 1024 pixels across, you can rotate your view, and it is also very easy to zoom down to tiny structures such as axonal boutons anywhere in the field of view - and jump quickly between these zoomed regions without having to move the sample. With the resonant scanning you can acquire images with high speed and also you can get large 4D datasets to follow cellular movements (time-lapse imaging). The modular design provides flexibility and makes it easy to add new features to the system. Galvano-mirror based scanning is limited in acquisition speed due to the relatively high mechanical inertia of the scanner motors. The Multiple-Line Scanning method overcomes this problem providing orders of magnitude scanning speed along preselected curves and lines. If fast acquisition of XY images, and not only small subregions, is required, the unique, cost-effective solution is resonant scanning. 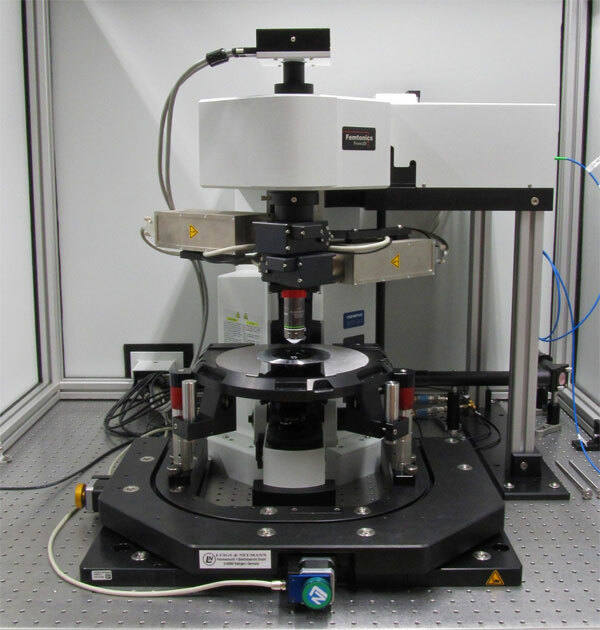 To overcome the galvos' speed limit in whole-field imaging, the microscope is equipped with resonant scanning mirrors that are capable of gathering images up to 800 Hz. Resonant scanning allows imaging with high acquisition speed at rates from 30 frames per second (512 x 512 pixels) to 400 frames per second (152 x 32 pixels) whereas the non-resonant scanners features a maximum scan rate of 4 full-frame frames per second at 512 x 512 pixels. During resonant galvo scanning the x-axis mirror moves very fast providing the raster-scan while the y-axis mirror is stable. The inverted design provides ideal conditions for in vivo imaging of different organs such as lymphotic nodes, kidneys, joints. 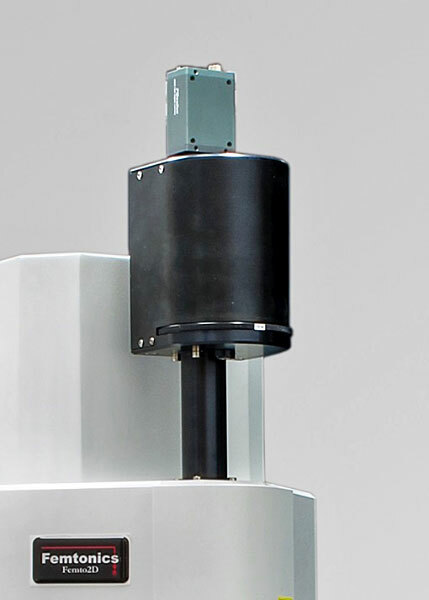 Femtonics' optically re-designed inverted multiphoton microscope with non-descanned detectors are optimised for collecting scattered photons with very high efficiency. This allows long-term in vivo imaging in the depth of the tissue. The modular design provides flexibility and makes it easy to add new features to the system. For example different modern neurophotonics tools can be applied such as measurement of second harmonic generation, photoactivation of genetically encoded proteins and caged neurotransmitters. 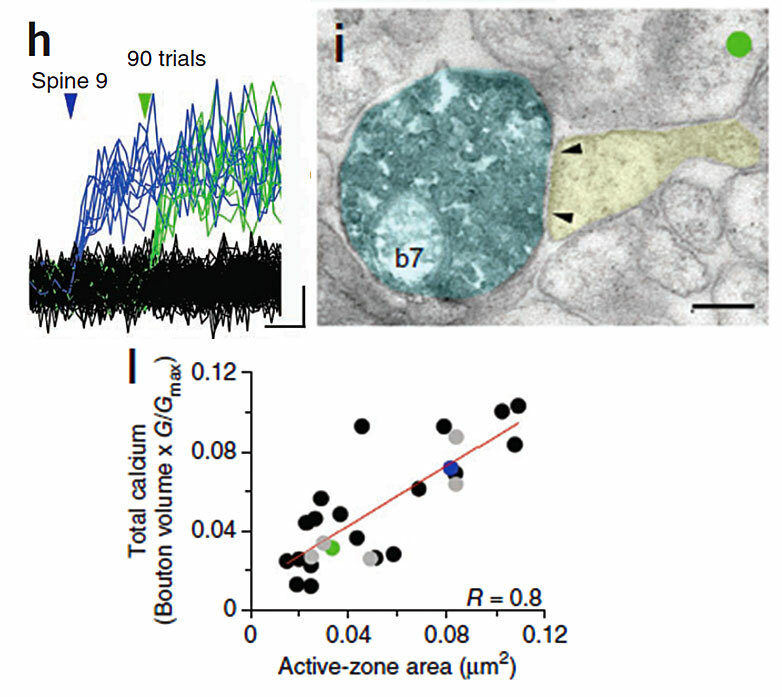 Special software and hardware elements support measurement of genetically encoded proteins and stabilises sample movement during long-term imaging. Real-time analysis tools help in effective measurements. Provides a high resolution 3D two-photon laser scanning method (Roller Coaster Scanning) capable of imaging long dendritic segments resolving individual spines and inputs with a temporal resolution of a few milliseconds. 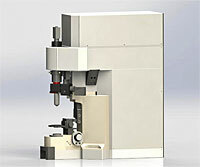 This is the first real-time (150 Hz) three-dimensional multi-photon laser scanning microscope on the market. Real-time 3D microscopy does not just mean the ability to measure 3D image stacks, but also to collect signals from different depths of the sample fast enough to resolve its functionality, following events all through the three-dimensional space of the sample with a high signal-to-noise ratio. We provide a high resolution 3D two-photon laser scanning method (Roller Coaster Scanning) capable of imaging long dendritic segments resolving individual spines and inputs with a temporal resolution of a few milliseconds. 2 in 1 solution (two-photon microscope with confocal mode) or separate confocal microscope is also available. This confocal microscope is designed for researchers who need to extend their two-photon microscopy research also with confocal imaging. 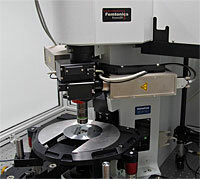 The main advantage of Femtonics' confocal microscope is that it was developed to perform measurements in living tissues. Flexible software tools support different stimulus protocols, parallel electrophysiological recordings and synchronisation of other lab instruments necessary for physiological measurements. 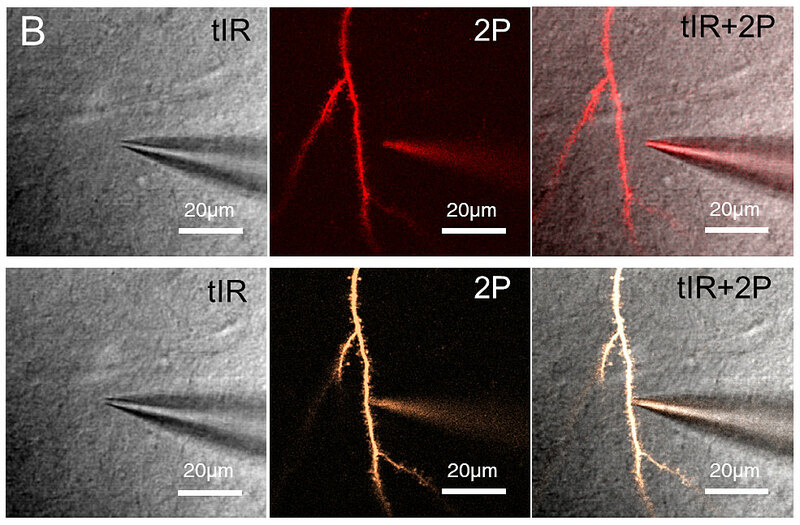 Fast photo activation using one or two parallel laser lines is also possible during fluorescent measurements without damaging the high sensitivity GaAsP detectors. Resolving every single photon is attainable. Having the right detectors is key to achieve the highest sensitivity and lowest photo-toxicity measurements even deep in the tissue. Optimised high NA light path ensures collecting highly scattered faint light to the detecting surface. Detectors are accompanied by high quality optical filters and dichroic mirrors with enhanced discrimination characteristics. Femtonics electronics ensures high speed parallel sampling of up to 10 detectors per system. Each detector can be digitized with 16 bit resolution. Local preamplifier ensures high S/N while variable digital filtering ensures optimal sampling at all times. Resolving every single photon is attainable. Femtonics' Epifluorescent Illumination Unit is equipped with a 7-position motorised turret that could be controlled from the MES software. Femtonics' Epifluorescent Illumination Unit is equipped with a 7-position motorised turret that could be controlled from the MES software. Upgrade is quick and simple. 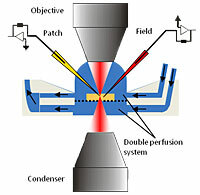 Dual perfusion chambers related equipment for retaining up to 800µm thick slices. We provide dual perfusion chambers related equipment for retaining up to 800µm thick slices. Thick slices preserve more intact neuronal networks and as such are able to generate physiologically relevant network activities. Proper oxygenation of the tissue crucial for oscillations can be provided with the use of these devices. This add on product contains a lens turret allowing manual change of the camera magnification 1x, 2x and 4x. 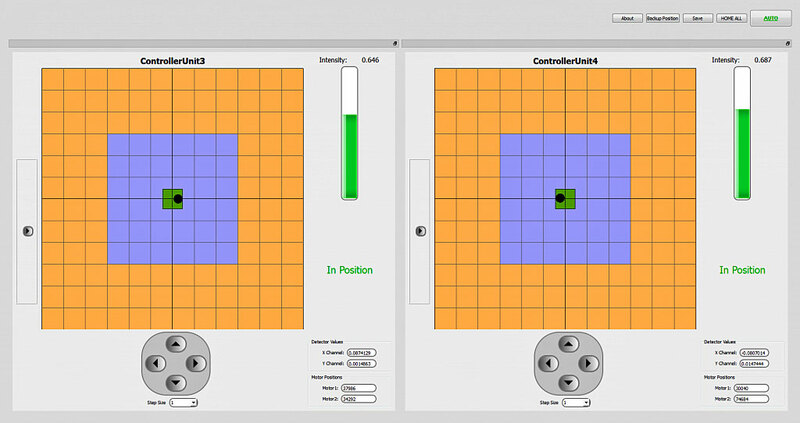 This allows a change from seeing the full field of view to a magnified view recommended for visually guided patch clamping with moderate magnification objectives. 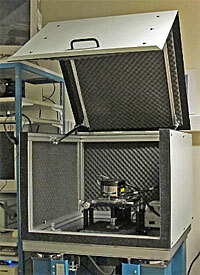 We provide High quality shading box for two-photon measurements. We provide High quality shading box for two-photon measurements. 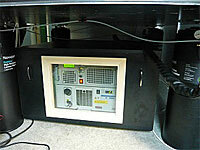 This special shading box enables high sensitivity external detection of the fluorescent photons even in a daylight room. 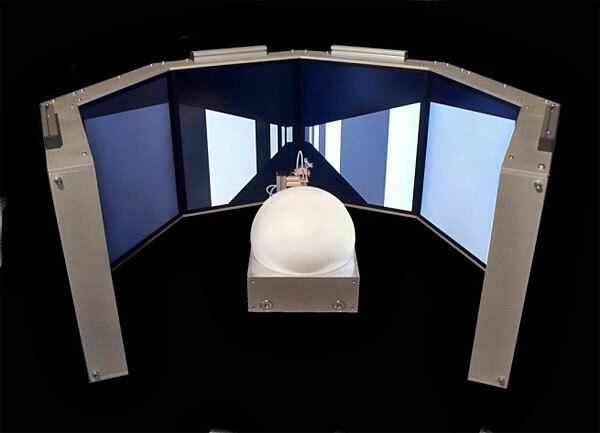 The Jet Ball is a virtual reality experimental system. 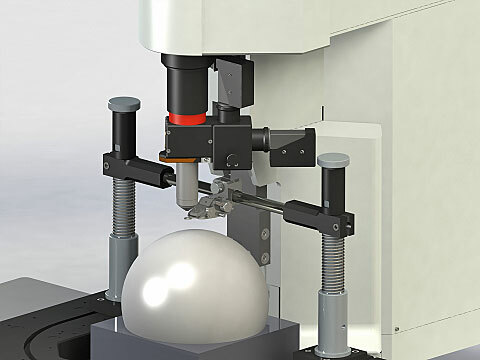 The Jet Ball from PhenoSys is installed with a Femto2D microscope and is a virtual reality experimental system. It is based on an air supported spherical treadmill, and allows a restrained animal to navigate in virtual space. Virtual reality provides a perfectly controllable experimental environment, and can be used for investigating navigation, cognition, learning and memory. Restrained animals can be examined with electrophysiological and optogenetic methods while the animal performs simple or complex behaviours. Small animal head holder for in vivo two-photon measurements. The use of the microscope allows the targeting of the cranial window with a few ten micrometers precision to the responding cell assembly. In vivo imaging with high spatial resolution requires either thinning or opening (cranial window) of the skull in order to provide the proper optical transparency. The diameter of cranial window must be minimized to avoid motion artefacts induced by heart beat and respiration, and to decrease astrocyte activation and inflammation. Therefore, very precise targeting of the cranial window to selected brain areas is required. In the Femto-Intrinsic microscope we integrated traditional intrinsic imaging technology to find the location of maximal functional responses through the intact skull. The use of the microscope allows the targeting of the cranial window with a few ten micrometres precision to the responding cell assembly. For imaging of the visual cortex we also recommend to use the video projector system for visual stimulation. The video projector system can trigger the intrinsic imaging system; therefore automatic mapping of intrinsic responses for different set of visual stimulations is also possible. FemtoStab is a precise, automatic beam alignment system, which compensates for the slow and fast time scale laser beam misalignments caused. We offer Laser beam stabilisation systems that ensure ultra-precise beam pointing stability to overcome thermal drifts or mechanical vibrations. Most high quality mode-locked lasers have a quadrant detector for enhancing beam positioning accuracy; therefore there is no need for extra beam positioning in most conventional microscope applications. However, high precision two-photon measurements or more complicated optics in the beam path require more precise automatic beam stabilisation. FemtoStab is a precise, automatic beam alignment system, which compensates for the slow and fast time scale laser beam misalignments caused. For example by thermal changes, the warm-up procedure of the laser or air movements. 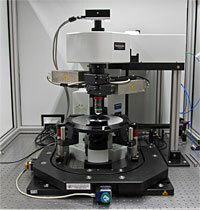 Equipment for sharing laser sources between two or more independent optical tables. 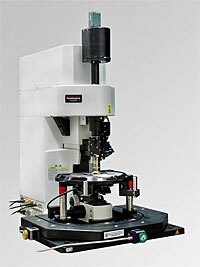 Equipment for sharing laser sources between two or more independent optical tables. This equipment distributes light from one laser source to more than one setup which can be situated even on mechanically independent optical tables. Therefore, measurements sensitive to mechanical vibrations can be performed on two or more tables at the same time. The noise levels are reduced to that of an ordeinary PC. We provide sound dampening boxes for power supply of MaiTai lasers. The noise levels are reduced to that of an ordinary PC. And these boxes can be easily fitted under standard optical tables.This box was designed specifically for the power supply and chiller units of SpectraPhysics MaiTai lasers. 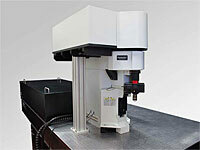 Custom designs for other lasers or lab instruments are available, too. The box achieves around 10 dB attenuation of the noise generated by the air cooled units of the lasers. Special care has been taken to maintain the original or in some cases even better conditions for the air cooling of the rack elements by allowing only a unidirectional air flow. The units need to be simply put in the box. Cables and umbrical enter through handy holes. There is also a glass front window provided to allow visual inspection of the signals on the unit. The size of the box was designed so that it fits most floating optical tables found in labs worldwide. Using Femtonics microscopes it is possible to correlate ultrastructure obtained with electron microscopy with the functional properties measured using calcium imaging. In combination with simultaneous two-photon imaging, this provides an excellent tool for dendritic patch clamp recording. This infrared laser scanning method provides an excellent, high quality real-time image of the fine tip of the high resistance patch-pipette located deep in the tissue. In combination with simultaneous two-photon imaging, this provides an excellent tool for dendritic patch clamp recording. 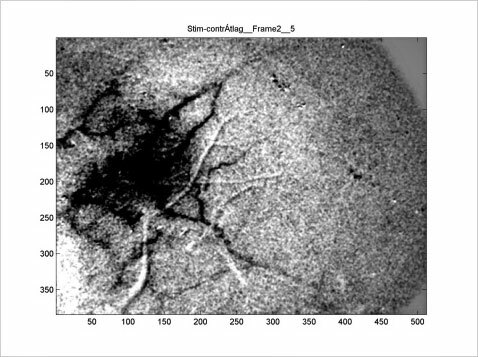 The location of dendritic patch clamp recording can be selected in advance by the user using two-photon imaging data. Based on this input, an automatic software module (Luigsneumann1 module, Femtonics Ltd.) moves the tip of the pipette to the selected dendritic location.